You will need to purchase medical coding books for the CPC Exam Prep Class. 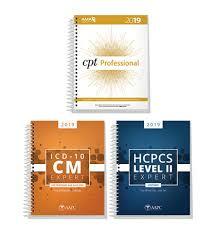 The medical coding books can be purchased form the AAPC website (www.aapc.com). If you are buying all three books at one time then you will need bundle #1. You may be able to get discounted books on the internet but make sure that they are acceptable books to use during the exam.